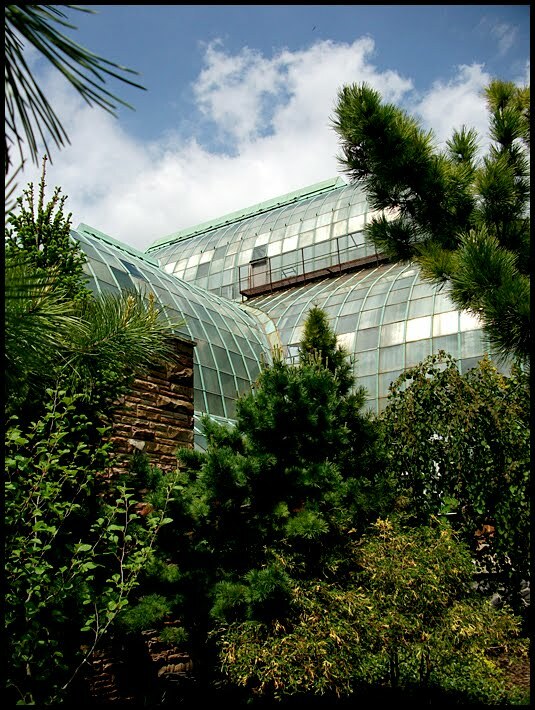 Last week we took a trip to the beautiful flower show at the Lincoln Park Conservatory. There was another display in the show, not showy and colorful like the flowers, but captivating all the same. Just a few shots but I thought you might enjoy them. I already knew this information because I have a daughter who got her undergraduate degree in Biology. This daughter also loves to share new found knowledge and believe it or not - once in a blue moon, I remember some of it. How cool is that? I've never had much luck with Ferns but I think I might give it another go. Very interesting. I would love to have one of those Staghorn Ferns. Okay, my post today was also plant related - we're totally secret twins. Obviously. Jeanette, I used to have a green thumb! I love your images and site! The staghorn is fabulous! I have a giveaway! I LOVE this! Gives me new appreciation for my surroundings. Not being a native to this tropical isle (re-claimed from the sea) we call Florida, I catch myself staring at the various palms and ferns that surround me. They make me think of deep forests (oh and swamps :-D). Breath taking - refreshing too! Henley - my Father-in-Law grows those ferns in his backyard! Oooh I like the crocodile fern. Don't have a green thumb but my mom does...so she can help me out someday! My green thumb comes and goes. It's tough in the desert... Green has a tendancy to turn brown. Staghorn Ferns are quite common in Western Australia. We mainly attach them to the trunks of palm trees because they are usually left bare as the fronds are trimmed from the growing trees. In some cases they become the homes of nesting ants and so have to be treated. Nonetheless they are beautiful to behold in maturity. I do love ferns. They are fascinating to me. I don't have a huge green thumb, but that's partly due to the fact that I have never really lived in an apartment where that is a possibility. Hopefully soon! Magnificent! I love ferns! They have a 'calming' effect for me. I have an asparagus fern outside of my front door, not so soft or lush as the moist climate ones but a good substitute for me. Great shots! You should be shooting for a magazine! Ferns are so architectural. They are my favorite. Wish I had a green thumb! I love plants and flowers, but I don't know the first thing about growing them or keeping them alive. I dream of a vegetable garden--how amazing to go pick your salad from your backyard?? I love the Fern Room!! My husband proposed to me there, and we frequent it several times a year. The whole conservatory is just beautiful! I wish these plants would grown in my backyard.